Accurately measuring and understanding air pollution requires a planetary vantage point. 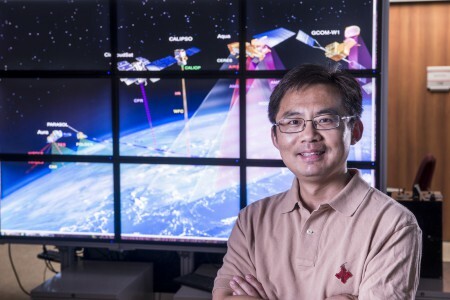 UNL atmospheric scientist Jun Wang uses satellite data to study the impact of aerosol particles on air quality and climate. Wang uses data provided by NASA satellites that monitor the planet’s air. To make sense of the large amounts of information, he’s developing algorithms to understand aerosol properties, including what the particles consist of, where they’re from and how they disperse. With several active NASA grants totaling nearly $1.4 million, Wang’s team is investigating a number of applications, such as how to better detect wildfires from particles in the air. 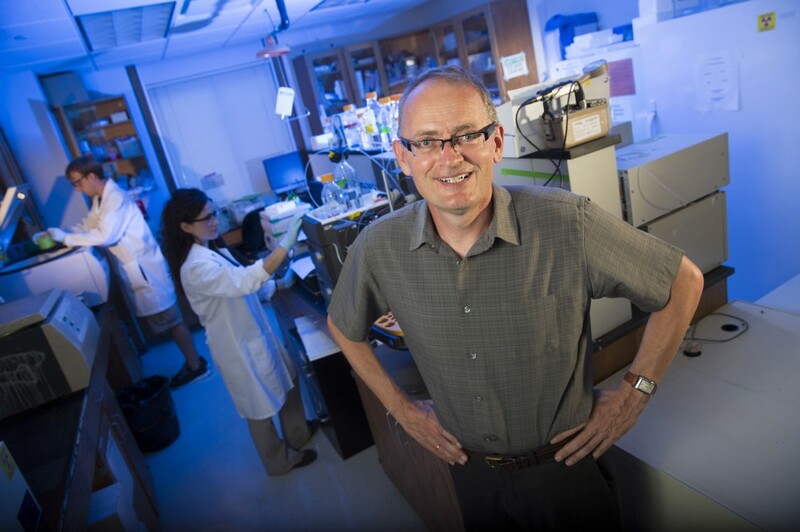 He’s also analyzing how much and where pollution generated in Asia ends up in the U.S. That information, and a better understanding of atmospheric pollution throughout North America, will help U.S. policymakers improve emission standards and air quality regulations. Wang’s team also studies climate effects of man-made pollutants from sources such as industrial emissions, fossil fuels and large-scale land burning for agriculture in Africa and Southeast Asia. Initial findings suggest that smoke particles from fires reduce clouds and precipitation, increasing the severity of droughts. They’re also investigating irrigation’s impact on climate and agriculture. During a severe central Plains drought in 2012, their analysis showed surface temperatures in irrigated areas were about 12 degrees Fahrenheit lower than in non-irrigated areas, which affected evaporation and clouds. Wang hopes his research leads to better air pollution predictions, much like weather predictions today. He’s using NASA’s atmospheric data to create and improve on computer models.